The Grand Canyon - WOW caught a sunrise AND a sunset! Glowing red mountains below are amazing! 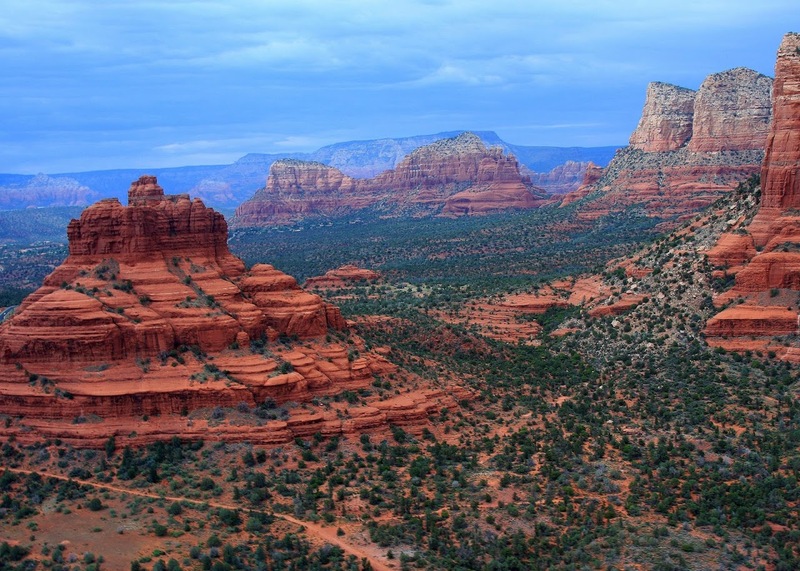 Sedona, AZ - WOW - red rock formations that resemble sand dribbled castles! The panoramic view from all of the above - UN believable! Being from the overbuilt East Coast, it was overwhelming to be able to see almost FOREVER. Only wrinkle has been a "Check Engine" light that we have to wait for tomorrow to get checked - so we have lost a day for that. It was none of the obvious things it could be......but I'm not smoking over it! Hope everyone there is well and smoke and alcohol free as well! You haven't lost a day, you've gained a day in a beautiful place! Hope it's nothing serious. Thinking of you Nancy sending positive vibes your way that there's nothing serious going on with the check engine light, huge hug and please take lots of pictures for us. So glad you had enjoyed the visit, even if the weather was temperamental in the last 10 days. Summer time is hard to live here, but the rest of the year, a joy. Good job not smoking over the check engine light! I knew you wouldn't (unless there was a range hood closeby). Looks amazing Nancy! Hope nothing serious with the check engine light.